Thanks to Kris, the IT master of Droni and also an EVS volunteer, we were able to take a small look into the world of IT. 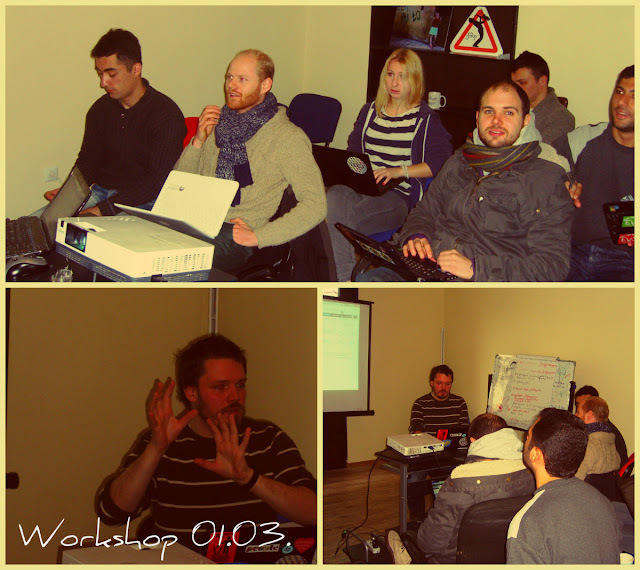 He showed us how to use Wordpress for making a website. Not only did he showed us how to make a website but he also showed use how to use several Google tools. One day is not enough to make us IT professionals, but I think Achiko and I'll be able to make a website for GYE now. So keep an eye on this blog, before you know it we'll have a website up and running! Special thanks:I want to thank Kris for his time and support during the workshop, Monika for taking the photos and Michele for the orange.